"Volunteering is the most fundamental act of citizenship and philantrhopy in our society. It is offering time, energy ad skills of one's own free will." Volunteers are an invaluable asset to community groups and their contributions are essential to the success of community based associations such as ours. We would like to take this opportunity to note our appreciation for everyone of our volunteers and welcome anyone who is interested in making a contribution. Consult the Dorval Leisure and Culture Website for more details on the Volunteer Screening Policy. 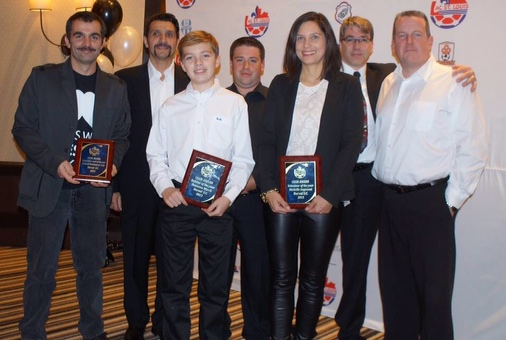 In November 2015 these volunteers were honoured at the Lac St. Louis Anuual Gala. Congratulations to our Coach of the Year, Referee of the Year and Volunteer of the Year!